FIVE BEDROOMS/4BATHS/2KITCHENS/2GREATROOMS. Condo is fully stocked with linens, towels and paper items. Dining Area / Kitchen is stocked with items required to prepare a meal. Or if you prefer, you can visit one of the fine restaurants on the resort. If this condo is booked for your timeframe we have a recently purchased, identical condo, in Disciple’s, located closer to the hill, for the same rates you could rent if it’s available, please see HomeAway listing # 4724139 to see pictures of it. We’re also minutes from Boyne City and Petoskey where you’ll find more great restaurants and activities. Our Condo is comfortable, nicely decorated, well furnished, private, in great condition and very clean. I’ve been renting condos to people up here for 10 years now (Please refer to our several positive reviews). Many of those who stayed with us when we first started continue to come back annually to relax and enjoy the great northern experience. You will receive prompt response, professionalism, an easy rental process and quickly returned damage deposits. MAY 2020 AND BEYOND RATES NOT PUBLISHED YET SO CONTACT OWNER DIRECT FOR PRICING FOR THAT TIME FRAME. RATES VARY DEPENDING ON DEMAND AND TIME OF YEAR, PLEASE SCROLL TO THE TOP THEN CLICK ON RATES, THEN CLICK ON VIEW ALL RENTAL RATES FOR MORE PRICING DETAILS, POLICIES & INFO IF YOU HAVE ANY QUESTIONS ABOUT RATES. Condo is centrally located in the Disciples condo complex a very short walk to the lifts and other amenities. This condo sleeps up to 20 people. Amenities: Complete kitchen includes stove, refrigerator, toaster, coffee maker, microwave, dishwasher, pots, pans, dishes and silverware, etc. There is also a fireplace, 3 TV’s, air conditioning and a deck with a beautiful view. Master bedroom has a TV and a whirlpool bath. There is a queen pull out sleeper sofa in the great room. Parking is available right in front of the condo for four cars. Any extra vehicles are required to park at the Boyne out lot close to this property. The Odawa casino is 15 minutes away & shuttle service is available. On premises Avalanche Bay Indoor Waterpark - With over 88,000 sq. ft. of aquatic adventures featuring tube slides, mat racers, waterfalls, climbing walls, the 'Rip Zone' a surfing simulator, arcade and snack bar. The Solace Spa is located at the Mountain Grand Lodge with pools, beauty salon, hot tubs, massage therapy, workout facility, shopping and more. There are various types of restaurants on site or a short drive away so if you don’t want to cook you don’t have to go far for a meal. The condo is a non-smoking unit, pet free and kept clean. You must be at least 25 years of age to rent the condo. Condo is located at the bottom of the mountain a short walk to the ski lift. Easily ski back to the condo for lunch or at the end of the day. There are several miles of cross country skiing trails of various difficulties. Cross country ski rental is also available. The huge hot tub & heated pool are located at the base of the mountain and open during ski season. It is a great experience to sit in the pool or hot tub - outside- while it snows. There is a tubing hill, The Mountain Grand Lodge & indoor water park all within walking distance. Boyne Highlands or Nubs Knob is a short drive. Skiing and boarding fun is just a short walk from the condo. Sledding, tubing, and ice skating are located close by. Although not located on the property, there is access to hundreds of miles of snowmobile trails less than a mile away. The Zip Line runs from the top of the mountain down to the back of the Mountain Grand lodge. Other summer activities like swimming, paddle boating, hiking, fishing, biking and tennis are also available. Boyne has several miles of paved and unpaved bike trails both for pleasure riding or challenging mountain bike riding. Now, Boyne has the top rated Zip Line course in Michigan. Beautiful Deer Lake is on the premises. There are various types of restaurants on site or a short drive away so if you don’t want to cook you don’t have to go far for a meal. Use the condo as a base to visit Petoskey, Mackinac Island, Traverse City, Bay Harbor or Charlevoix, or just sight see in the great north. Petoskey is 15 minutes from the condo, has great shopping, good restaurants and a casino. 3.”Michigan State HOG rally”, great roads in the area to drive that motorcycle. 10. “Paint Ball” at Boyne Mountain. Our family enjoys the large variety of activities there are to do at the Boyne resorts, Boyne City, Petosky and Gaylord We purchased this condo in 2008. After many family trips up to the Boyne Falls area for the past several years it made sense for our family to invest up at Boyne. We like to golf, ski, play some blackjack, eat and spend time with our family and friends in this scenic part of our state then get a return on our investment. It’s much easier walking to the chairlift a few minutes from our condo rather than hauling all or gear from motels in the area. Likewise when golfing we're only 5 minutes away from the clubhouse. We can also spend time hiking, bike riding and swimming or eating at the Boyne Resort. The Avalanche Bay Water Park and Solace Spa are within the Boyne resort. There are also several restaurants on site or within 20 minutes away in Boyne City, Petoskey or Gaylord. The Odawa Casino is only 20 minutes away. 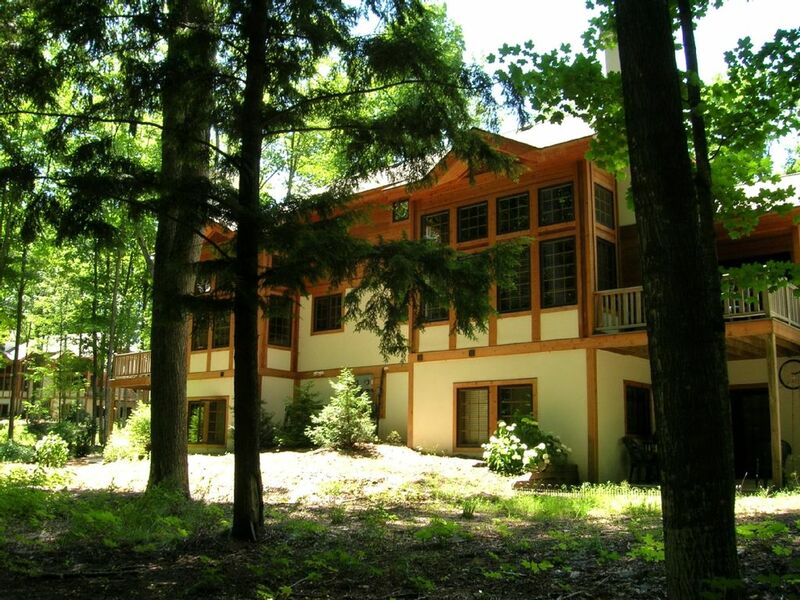 This condo is located within a short drive to lakes and streams for any anglers or for boating. Petoskey is only 15 minutes away and has many places for shoppers. Traverse City wineries are within an hour. Boyne resorts has several top notch golf courses however there are many more great golf courses within a half hour away such as: Treetops, Michaway, Little Traverse bay, The Loon, Black Forest, Gaylord Country Club etc... The Mackinaw Bridge and Mackinaw Island are only an hour away. Great location and a perfect place for a family. We loved the location, the clean space, and all the room for the family. We would be more than happy to stay at the condo again in the future. Beautiful condo, spacious bedrooms, and close proximity (walking distance) to the resort area! We all enjoyed our time away at this beautiful condo! Plenty of beds/bedrooms and full bathrooms, walking distance to the resort area, and shuttle service from the resort area when needed. Plenty of room to relax and play games/hang out! Great condo for multiple families to enjoy a fun ski weekend at Boyne. We really enjoyed our stay! The location was great to walk to the Disciples lifts. Very convenient and clean. The Boyne Mountain rental worked well for us. I appreciated the cleanliness. We needed a few more spoons upstairs, but borrowed some from downstairs. The skiers said it was a bit of a walk to the lift, but they could have used the shuttle. The owner was responsive to my email messages when I had a question. The homeaway app took some getting used to for me because I'm old! Eventually, I got it. A great space to enjoy each other's company. This property was perfect for the eleven of us. It was spotlessly clean and well stocked. The location to a chair lift was so convenient. I would recommend this rental. The condo is clean , spacious and fantastic.. It is highly recommended ! Condo can sleep up to 20.